Poona is how the city was known as before it got its current name of Pune. The city is the heart of Maharashtra, with it being the second largest city of the state. This urban town has also earned itself the moniker ‘Oxford of the East’ because of the numerous educational institutions that are a part of the city along with a large student population. However, the city does not believe in all work and no play which is evident by the abundance of picnic spots in and around it. So, pack your lunches and your bags, for we give you some amazing picnic spots near Pune. This majestic fort dates back to 1732, to the era of the Peshwas of the iconic Maratha Empire. 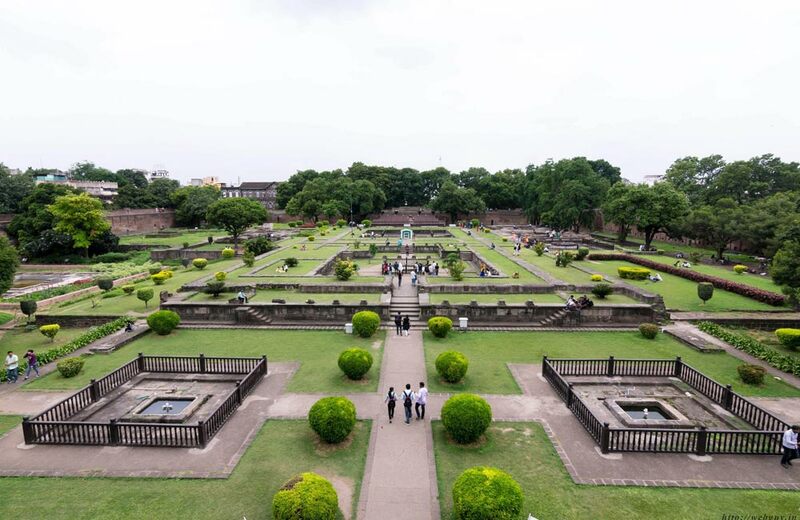 The foundation stone for this thirteen-storied fort was laid down by Peshwa Bajirao and the fort is said to have housed as many as ten thousand people at that time. The entrance to the fort is marked by an impressive statue of Peshwa Bajirao himself, who seems to greet the visitors looking for a glimpse into the history while having a fun filled day with friends and family. This three decades old garden is still as fresh as ever. 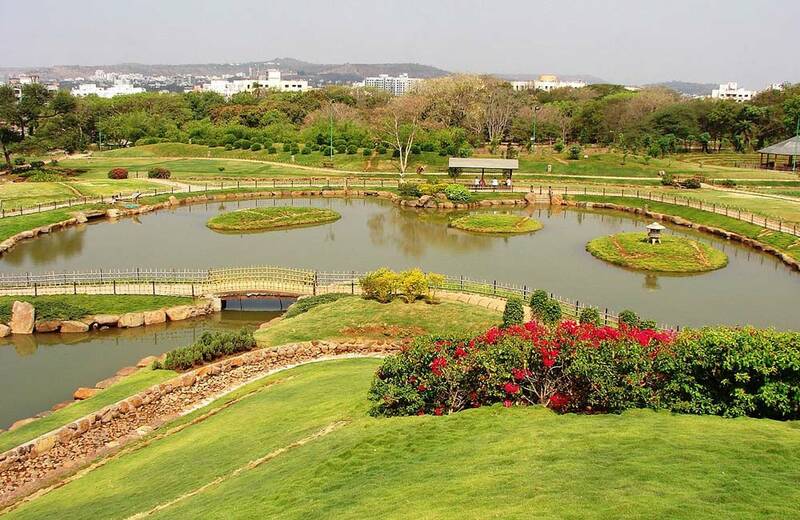 Its garden was designed by drawing inspiration from one of the three amazing Japanese gardens called Okayama’s Koraku-en Garden and that is why it was called Pune Okayama Friendship Garden. Okayama Garden also goes by the name of Pu La Deshpande, after a well-known Marathi artist bearing the same name. Sprawling over ten acres of land, the garden gets a natural flow of water from a canal. When you trot along the bridge in the center, you can spot some vivacious fishes in the canal water. One of the unique features of this place is its landscape which has been designed in such a way that it changes into something more beautiful after every few steps that you take. The garden has now added another section to it which has been modeled after the famous Mughal Gardens that grace the Rashtrapati Bhavan in New Delhi. A perfect location to plan a picnic, these manicured laws will surely wow you with their magnificence. What better way to spend a day relaxing with family at a place where flora and fauna come together! The park was created in the year 1986 as Katraj Snake Park and it was only later in 1999 that it was rechristened as Rajiv Gandhi Zoological Park. In its new avatar, the park now sports a modern look which is in accordance with the Central Zoo Authority of India guidelines. 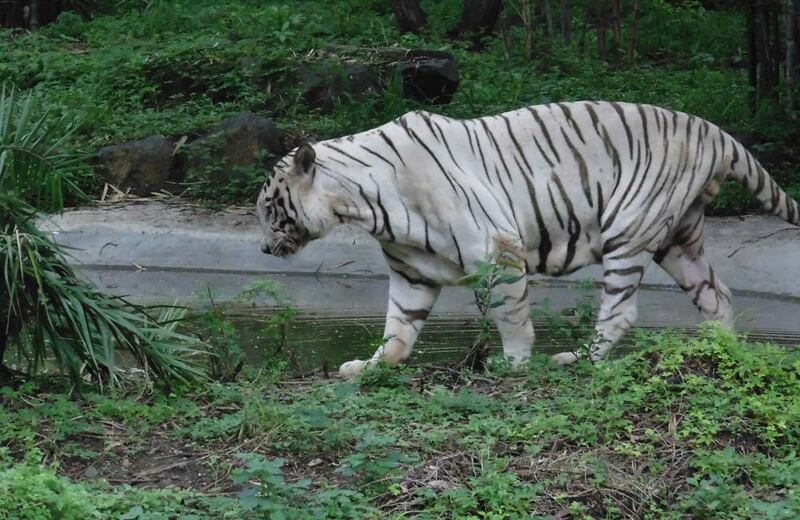 The star attractions of this zoo are a white tiger and a male Bengal tiger, Tanaji. For a wildlife enthusiast, the place is a haven as you will find animals like sloth bears, Indian Rock Python and Indian Star Tortoise. The snake park draws a lot of crowd for its thirteen-foot-long King Cobra. During the Indian festival of Nagpanchami, the park organizes several educational programs to educate people on snakes, which includes topics like how to handle a stray snake among other things. 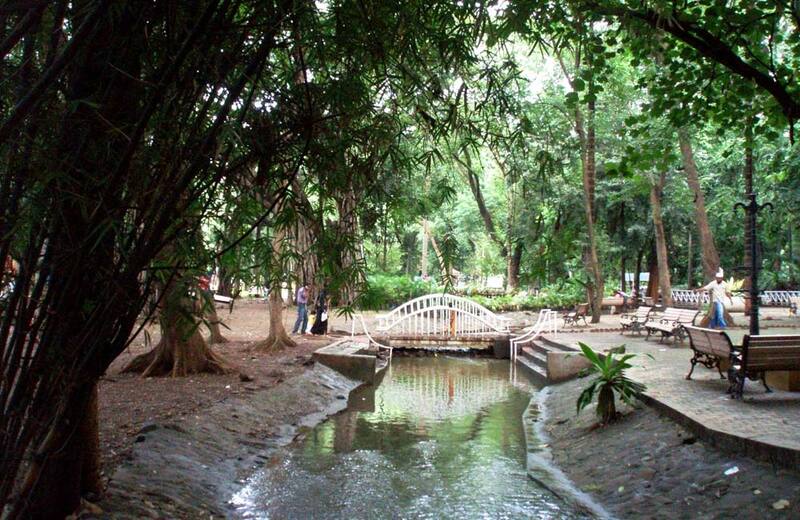 This picnic spot in the city can truly be called the jewel of the city. While you sit and enjoy the salubrious beauty around you, the kids can have a good time with horse riding or at the swings, and the elders of the family can have a leisurely stroll in the Nana-Nani Park. There are some paid activities for the kids like the trampoline jumping, toy trains, and small rowing boats as well. Hop onto the toy train for a fun-filled ride around the park. A small canal flows through the center of the garden and if you are lucky, you can spot some water birds frolicking in the water. After the picnic, do not forget to carry back home some greenery, for the park also sells plants and gardening material. Nature lovers throng the park in January when an annual flower show is organized here, showcasing several exotic species of flowers. He who enters these caves, enters at the peril of having a thrilling time and fantastic experience. The idea of a day picnic is mostly to have a good time with friends and family. For some of us it is a sit-down lunch while for others, it is packing in some adventurous activities in the day. If you are one of those that fall in the latter group, then a visit to these caves is a must. Housing a temple dedicated to Lord Shiva, Pataleshwar caves are carved out of a single rock and are full of carvings and miniatures, due to which the place is thronged by devotees of the deity, and tourists alike. Serenity engulfs you the moment you enter the caves and it is more of a place that you can go to for relaxation or connect with the Supreme Being. 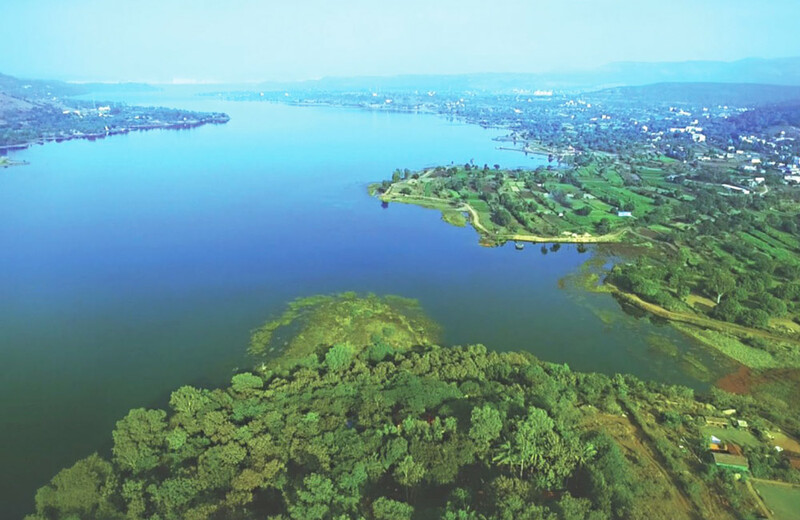 Set at a vantage point that gives you a fabulous view of the lake, Shantivan offers you the chance to get away from the hustle of the city and to spend some reflective time with family and friends. The place was started in 1990 and continues to enthral the people of the neighboring city. It is on the banks of the famous Khadakwasla Dam. There is so much to do here for kids that it will keep them engaged for the entire day. Right from a trampoline, to swings, rope climbing and a ropeway bridge; you name it and they have it all here at Shantivan. It is also a preferred destination to host school picnics, birthdays, anniversaries, marriages and corporate events. Madhuram Restaurant inside Shantivan offers delectable vegetarian food. It’s a weekend and you are in the mood for a picnic; then Sinhagad you must go to. The ruins of this fort do not have much of historical insights to offer but is a mélange of everything that makes it a perfect picnic spot. Delicious and authentic Maharashtrian food, a landscape that makes photographers go weak in their knees, and the occasional showers that drench you, all give it an umpteen number of brownie points. The rocky trekking trail will test your stamina for sure but takes about one and a half hours, even when done on a snail pace. You can buy buttermilk, mangoes, cucumbers, and corn from the local village vendors on your way up the fort. Once at the top, if it is not misty, you can enjoy a splendid view of Torana Fort, Khadakwasla and Varasgaon dams, and Panshet. The winding trek that takes you to the top of the hills here offers you the right amount of peace and relaxation. You can plan a day out with friends here if adventure sports are on your mind too, along with a picnic. 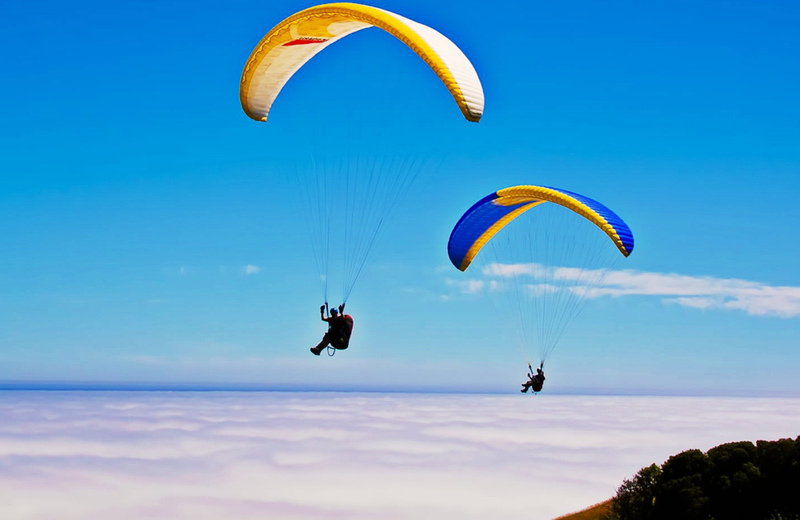 Kamshet is located at an altitude of 2200 ft above sea level, on the banks of Pawana lake, and you can enjoy many adventure activities here like paragliding, water sports and rock climbing. 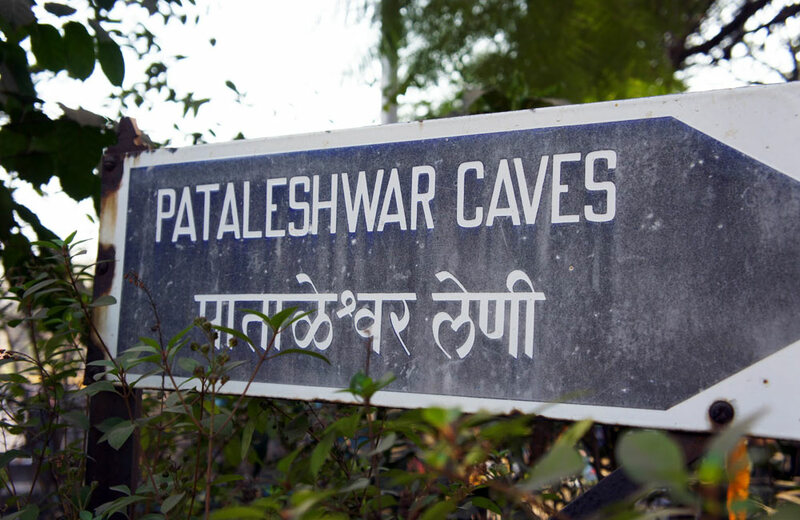 One of the oldest caves of Maharashtra, Bhedsa Caves are at a little distance from here and if time permits you can go there as well. This day picnic locale is easily accessible from Pune by road and is good for a day getaway from Pune. If you stay in Pune, you are sure to love forts that seem to be in abundance in this area and offer a perfect site for a day picnic. 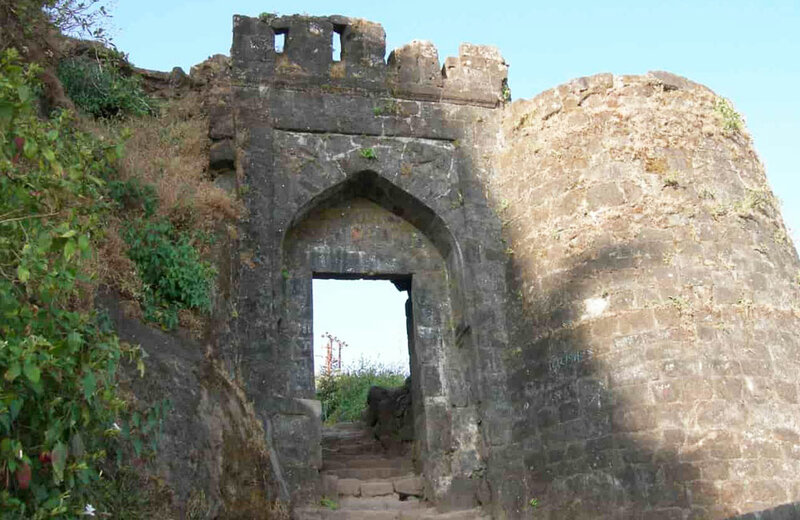 Torna fort or Prachandagad, as it is also known as, was built in the thirteenth-century by the Shaiva Panths, who were followers of Lord Shiva. It is one of the most famous forts as it was the first fort in the region on which Shivaji Maharaj had laid siege on in 1643. With its historical importance, the fort has now been included in heritage sites list. Winters are the best time to visit this fort as you can enjoy the trek while basking in glorious sunlight and watching the sun’s rays sparkling on the fort’s peaks. The fortress is open on all days but since the thrill of the place is in trekking here, the best time to visit is during winters. The name of this fort literally translates to the king of forts in English and it truly lives up to its name. 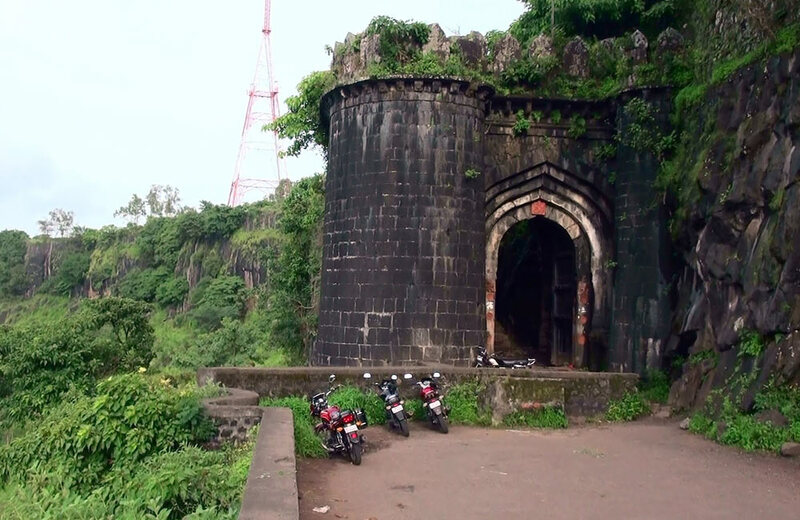 Rajgadh Fort is perched at a height of 4600 ft above sea level and is a popular day trek or picnic spot for the people of Pune. 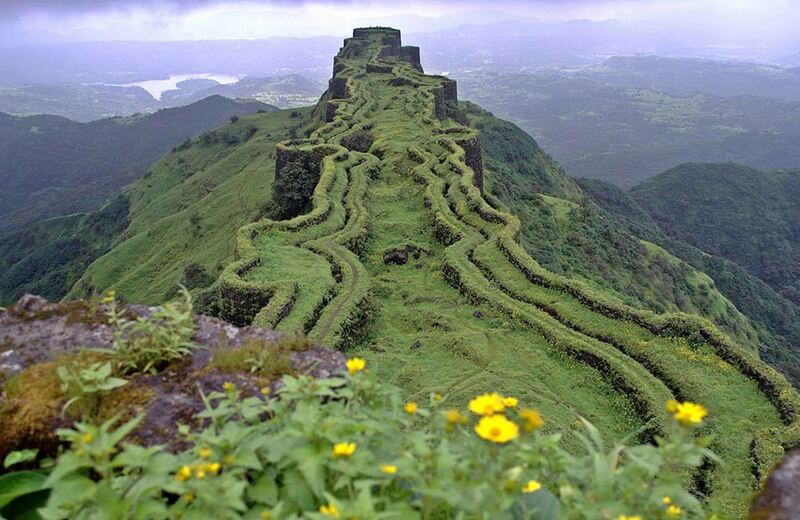 Another jewel in the crown for the Sahyadri range, this fort was under the siege of Maratha Empire for over twenty-five years. The fort spans across a large area, and The Padmavati Temple inside the fort itself is huge enough to accommodate around fifty people at a time. According to the terrain, four separate sections have been made inside the fort: Padmavati Machi, Suvela Machi, Sanjeevani Machi, and Bale Killa. Monsoons see the fort transform into a beautiful picnic spot enveloped in lush greenery which exhilarates the senses. The trek though presents a caveat in the form that it is suitable only for kids of age nine years and above. To make the most of the beautiful trek, we advise to start early in the morning and reach back by the evening. Times are a changing and the idea of a picnic for the generation of today is not restricted strictly to having a meal out in the open. You can now couple a picnic with some adventure sports and you have a winner on your hands. 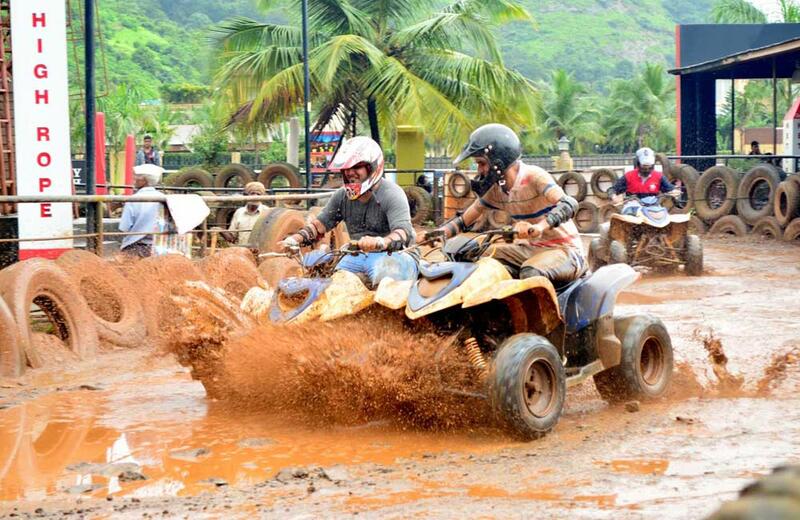 Della Adventure Park in Lonavala offers you one such day that satiates the need of a picnic, and adventure. Over seventy activities like joy rides, paintball, radio controlled cars, archery, water games, and ATV rides are the highlights of the park. Your day trip can be converted to an overnight picnic if you plan to spend the night at Lonavala. 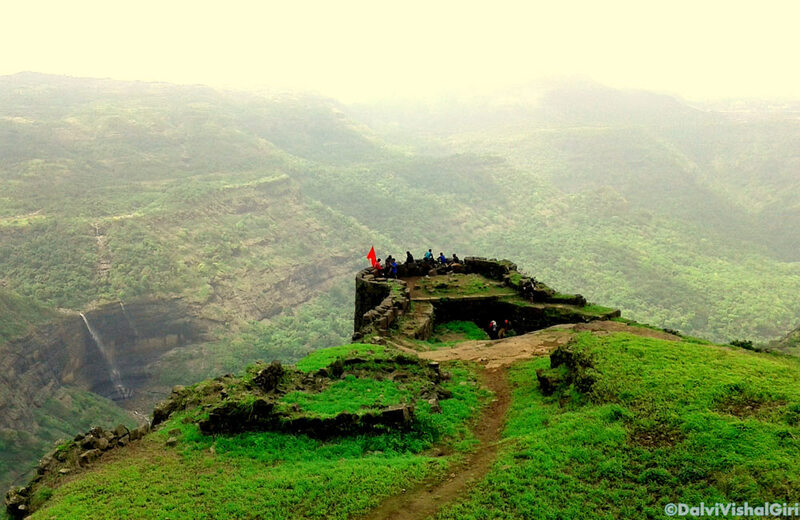 If you stay in Pune, your love for trekking will take you to Rajmachi Fort for sure. 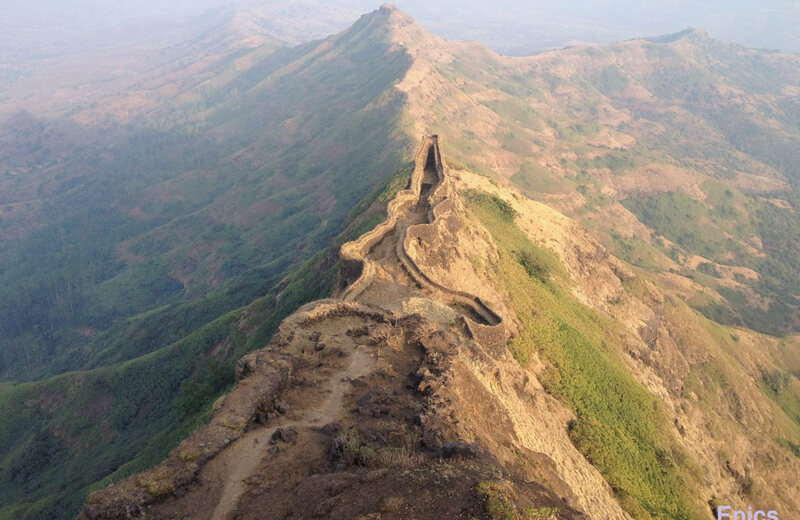 Set in the Sahyadri range, this fort sees trekkers not only from Pune but from all across Maharashtra. Rajmachi, which also goes by the name of Udhewadi is a small hamlet in the Sahyadri Range. With an emerald belt of forest around the fortress, the place mesmerizes you and gives you the feeling of floating in the misty clouds that shroud it. Unlike some other forts in the area, the beauty of this place increases multiple folds during monsoons, when you can witness the cascading waterfalls, brimming streams and gorgeous greenery in the area. Trekking here is best enjoyed when you camp overnight, setting up base at the Kalbhairavnath Temple. However, you would need to stock up on food, as that is one thing you would not find at the fort. Try and include Manranjan fort and Shivardhan fort too in your itinerary as these are quite close by and offer an equally amazing and panoramic view. 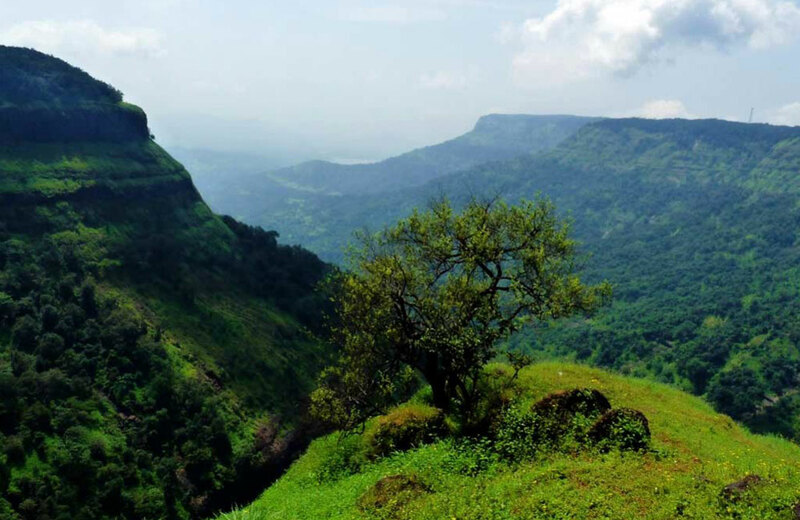 People of Pune often flock to Panchgani for an overnight picnic as the verdant beauty of the place gives you the perfect break from the monotony of the daily routine. It is one of the top tourist attractions of Maharashtra. Panchgani gets its name from the five hills that have nestled this place in their lap along with five villages that surround it. Legend has it that during their vanvaas, the Pandavas had made a short stay at the caves here that are known as Devil’s Kitchen today. It is one of those places that are blessed with a pleasant weather all year round. This hill station has so many attractive picnic spots that it would take at least 2 days to explore the region fully. 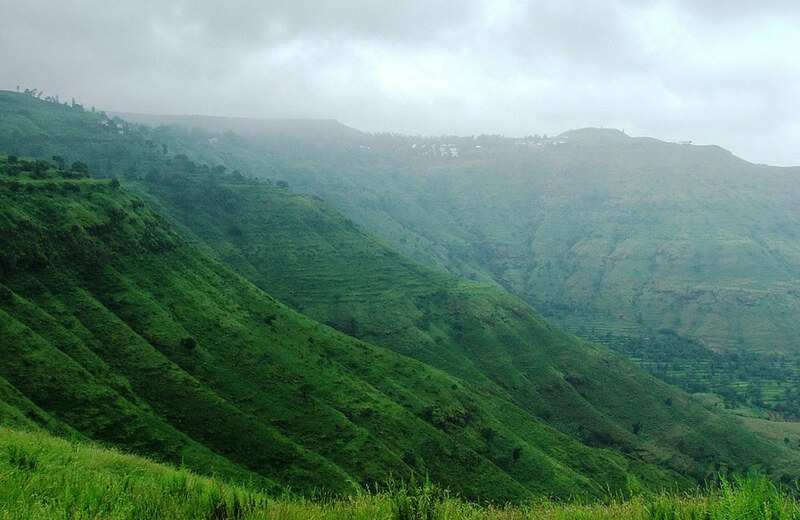 The Sahyadri range in Pune is home to several picnic spots and the most ideal one with serene surroundings is Satara. Home to some amazing temples and forts, Satara beckons travelers from all over the state of Maharashtra. It is situated at a height of 2320 ft above sea level, near the confluence of the River Krishna, which is a tributary of River Venna. Branches of river Koyna and Krishna flowing through the hills add to the resplendent beauty of the place. The name Satara means ‘Seven Hills’ which refer to the group of hills that surround this place. Once you are through with your fun, food, and frolic, you can take a tour of the nearby attractions like Karad, Ajinkyatara Fort, and Koteshwar Mandir. A place that transports you back to your childhood when you chug along in a toy train, is what Matheran is. The Ministry of Environment and Forest has declared Matheran as an eco-sensitive region and thus it is an automobile-free area. Being a traffic-free zone, the only way you can travel to this place is by taking a toy train from Nerul, which takes around two hours roughly. During monsoons, the toy train services are discontinued temporarily. The best way to reach in this case is to take a taxi, which will drop you 2.5 km before Matheran, and from there you can hitch a ride on horseback or a rickshaw. It is one of the smallest hill stations in the area and is at a height of only 800 m. Once there, you can trot along Bazaar Peth or see some antique engines at the Matheran Railway station. One of the things that have made Matheran quite famous is the thirty-eight view-points that one can visit here. Spend the evening watching the sunset in the picturesque valleys and take the toy train back the next morning. Some other picturesque locales near Pune which serve as excellent picnic spots are Lonavala, Wai, Lohagadh, Mulshi Dam, Malshej Ghat, Kashid, Mahabaleshwar, Nashik, and Alibaug can be added to your travel diary for a picnic. So if you are a resident of city, or are staying at any hotel in Pune, and are looking to spend some time away from the city, pack your picnic baskets and get going!